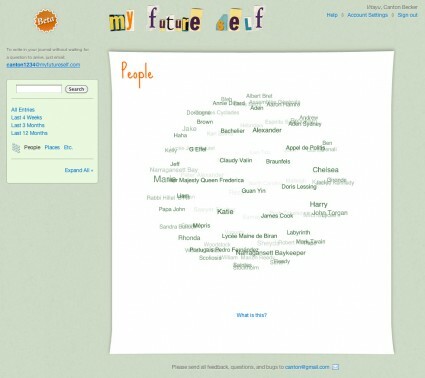 “My Future Self is a new way to keep an private journal online. It will encourage you to write about your life and the stories from your past. If you have kids, it’s a way to start keeping a journal for them – for when they grow up and wonder what was going on during their early years. My Future Self is not a website. It is a private journal you will keep via email, sometimes responding to questions about your life, sometimes by sending an email just because you feel like writing down what happened to you today. Great idea! Would love to be able to send emails to my kids in the future as well, like letter to my 16 year old (who is just now 9) but already has an email account. You may like to try http://mytimejourney.com/ . It is a new protal taht help user to send email or upload any file and send it via email to the future! Its free and secure.